After months of final preparations, tests and installations one of the worlds most innovative cruise ships has finally been delivered to Royal Caribbean. Quantum of the Seas was today (20th October 2014) delivered to the cruise line from the German ship building company Meyer Werft. The official handing over ceremony was held in Bremerhaven, Germany where Royal Caribbean and Meyer Werft executives attended to signings ceremony. The ship is to sail to Southampton, UK today with Captain Srecko “Felix” Ban at the helm. The cruise industry is expecting large crowds as the 167,800 vessel will welcome passengers for the very first time. The ship will then depart on a transatlantic cruise on November 2nd finishing in it;s new home port of Cape Liberty Cruise Port, Bayonne, New Jersey. staterooms ever, including the industry’s first-ever staterooms with Virtual Balconies, which offer expansive, real-time views of the ocean and exciting destinations from every interior stateroom. 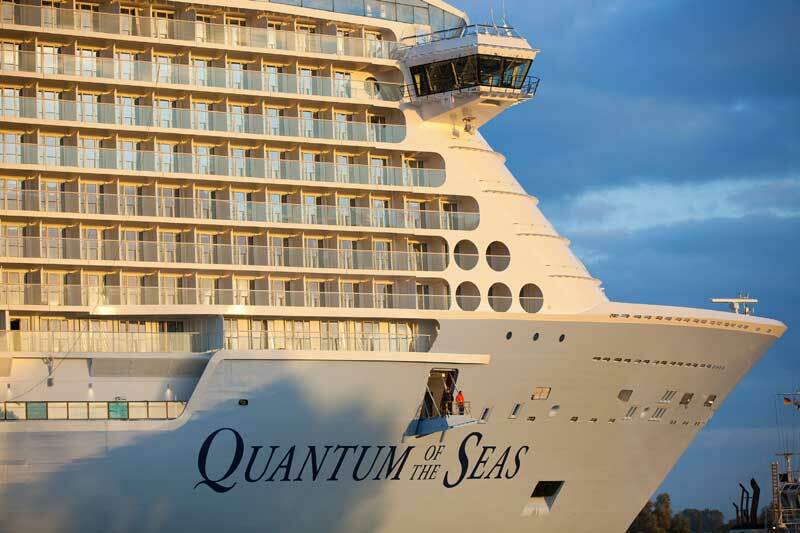 Quantum-class ships span 16 guest decks; encompass 167,800 gross registered tons; carry 4,180 guests at double occupancy; and feature 2,090 staterooms.